Tower #1 Fenwick and Tower #2 Bethany Resotrations! Join the Delaware Seashore Preservation Foundation and The Fort Miles Historical Association in the restoration of World War II Artillery Fire Control Tower #3 located within the Delaware Seashore State Park on Route One just south of Dewey Beach. Bring WW II Fire Control Tower #3 to Life while memorializing a WW II Veteran who served. 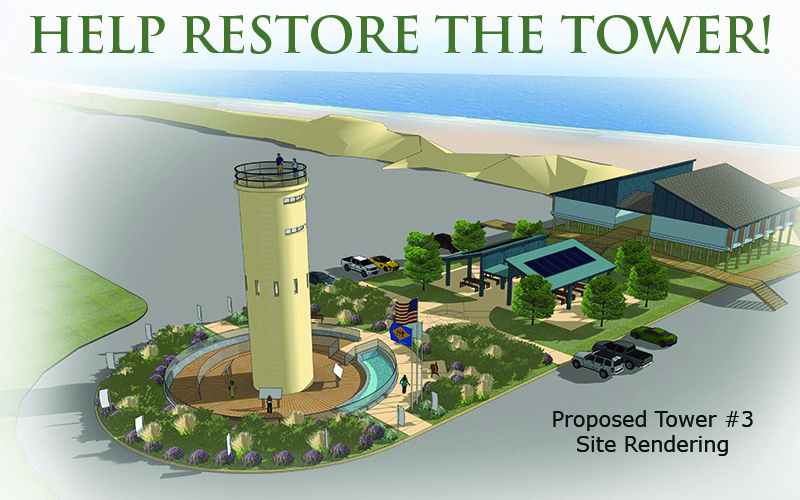 Your support is critical in making the Tower restoration a reality. Donations from concerned businesses and individuals like you are what drive our projects forward.